There are no two ways about it: Renting an apartment for the first time is a daunting prospect. It seems like there’s so much to know, so many boxes to check, and so much to keep track of. It doesn’t help that it can feel like everyone on the planet knows more about it than you. It’s easy to feel like you’re behind and you need to play catch up to figure out what’s going on. While you can be any age when you rent your first apartment, it’s most likely you’re either a recent high school or college graduate. With everything else you have to learn at this time — think paying taxes, building credit, and job hunting — learning how the apartment rental process works can feel like just one more item on a long list of confusing things you’re required to learn. But there’s no need to worry about this one. Property Management, Inc. has you covered with this quick and informative guide to renting your first apartment. We’re collecting all the essential information so you can be armed with information as you begin this process. No matter how intimidating the apartment search can appear, there’s no other way to begin than just to dive in. The first step in renting an apartment is to simply begin finding rental listings. Make lists, spreadsheets, or whatever works for you as you record apartments that look good to you or that you’ve contacted the owner of. When it comes to finding rental listings near you, the internet is your friend. There are several ways to utilize it. You can directly look up property management companies. These companies will usually have all their current available listings shown on their website with floor plans and amenity information. Of course, no matter how many helpful websites you have access to, it’s impossible to begin your apartment hunt until you decide on a few other considerations, including location, budget, and roommates. Of course, no matter how many helpful websites you have access to, it’s impossible to begin your apartment hunt without first knowing where you want to look. Most likely, you’ll want to live relatively close to your job, school, internship, or other meaningful location. However, this can mean something entirely different to everyone. Some people aren’t interested in commuting more than ten minutes to work. Others don’t mind a commute of nearly an hour. It all depends on what works for your lifestyle, your car’s gas tank, and what the neighborhoods near you look like. It’s also good to think about proximity to locations other than your job. For example, consider how close the nearest grocery store or shopping mall is. If you have young children, think about what good schools are nearby, and think about what school district would make the best fit for your family. It may be helpful to think of having three choices of apartment settings. You can live in the city, the suburbs, or the rural country. It doesn’t matter if your job is in the city or the country. As long as you’re willing to commute, all three living options are available. The urban lifestyle tends to be more fast-paced, crowded and expensive, but it also allows you access to the very best in culture and entertainment. The suburban lifestyle is great for raising a family, and still allows you access to the sights of the city and the space to pull back as well. Finally, the rural lifestyle allows a more relaxed pace of living and plenty of space, although you may find yourself missing the constant activity and stimulation of the city. Decide which lifestyle appeals most to you, and begin looking there. Along with a location, a budget is hands-down the most important factor in deciding what apartment you’ll eventually end up renting. Whether it’s big or small, all of us live on a budget of some sort. Some of us can afford enormous mansions, while others struggle to rent one-bedroom apartments. 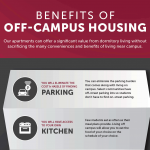 Whichever camp you fall into, one thing remains the same: You have a limited amount of resources to spend on housing. Creating a budget isn’t difficult at all, even if you’ve never done it before. First, you start with your monthly income. From this number, you subtract how much you spend on things like groceries, gas, insurance, shopping, entertainment, your Netflix subscription and anything else you can think of. Don’t forget to account for things like any loan payments you may be making any month, as well as savings. The amount you have left is the amount you can afford to spend on housing every month. You can also create your budget by beginning with your rent first. Do a bit of research to learn what a typical monthly rental rate is for properties of the size you’re looking for in the area you want to live. Subtract this from your monthly income, and see if there’s enough left over to cover the rest of your monthly expenses. One of the most important things to remember when you create this budget is this: Do not forget to include utilities. Utilities are water, gas, electric, and other amenities. If you’ve never rented before, you might assume these are included in the price of rent. Sometimes they are, but unfortunately, they usually aren’t. In many cases, you’ll find apartments that include a few utilities in the prices of rent, but the others are the renter’s responsibility. Either way, include an extra chunk of money in your budget for utilities just in case. You might be thinking roommates were something you left behind in college, along with ramen noodles and showering in flip-flops. But don’t be so quick to count this out as a very feasible possibility. Firstly, realize that living with a roommate in a post-college apartment setting is vastly different than living with a roommate in a tiny dorm room or even a college apartment. One reason for this is that you aren’t randomly assigned roommates in the real world. You get to pick who you want to live with, meaning it can be a friend, a sibling, a cousin, or even a casual acquaintance whose lifestyle is compatible with yours. Another reason roommates are so different after college is that there is far more space. You’ll each have separate bedrooms, a full-sized kitchen, and a separate living area. You will not be tripping over each other’s belongings and will have far more elbow room. In addition to this, you’ll both almost certainly have full-time jobs, meaning you’ll simply see less of each other than you would in a college setting. The benefits of living with a roommate are almost endless. Rent, utilities, and Wi-Fi all become much cheaper when you’re splitting them two or three ways. Groceries are another thing you can share with roommates. Or, if you’re not comfortable with that, you might consider just sharing a few essentials, like spices, baking goods, or dairy products. These things will go a long way towards saving you money. If the idea of saving money isn’t enough to convince you to try out a post-college roommate, consider the fact that it’s useful to have someone other than you around the house. Maybe they’re handy with tools and you’re not, maybe they’re good at baking delicious treats, or maybe they’re just tall and can reach the top shelf of the pantry. Think of all the ways you could trade-off skills with people. Maybe they might cook you a meal in exchange for you changing their tire, or something similar. Do they have either a reliable job that will enable them to pay their bills? Are they responsible enough to pay their fair share of rent every month? Do you agree on pets? Do you share mutual ideas of cleanliness? Do they have any lifestyle choices you could not stand to live around? Do you trust them around your personal belongings? Before you begin visiting apartments, make a list for yourself of desirable qualities you hope to find in your future apartment. Then, divide this list into “needs” and “wants.” Your needs list should include things that you absolutely can’t compromise on, like the number of bedrooms, bathrooms, or on-site laundry. Your wants list, on the other hand, could include things like the size of closets or the availability of off-street parking. Since only you know what’s important to you, it’s important for you to make this list yourself and customize it according to your needs and lifestyle. Having this list readily at hand will help you when you’re searching out apartments. It will help you rule out some options immediately and will help you decide one choice is ultimately better than another. It might even save you from wasting your time on an apartment that will ultimately never suit your needs. Now that you have a list of apartments picked out, it’s time to start scheduling tours and visits. It’s easy to get overwhelmed during this process, so take some time before each visit to plan out the things you want to look for and the questions you want to ask. Here are a few steps to guide you through this process. No matter how much you may think you love the first apartment you visit, you owe it to yourself to play the field a little bit. Visit multiple apartments. Get a sense of what options are available to you. The more apartments you visit, the more you’ll be able to compare them to one another and decide which one is truly the best option for you. Apartment visits and tours are important. Not only are they great for looking at the apartment itself, but they’re also a chance for you to see the apartment and visualize the space needed for your belongings. This ties neatly into the idea of paying attention to the apartment itself. When you tour an apartment, this is the perfect chance to talk with the landlord or realtor and ask them some important questions. Are utilities included in the rent? If not, ask about the process of setting these services up. What are the move out policies? What is the school district? When is rent due and what forms of payment are accepted? So you’ve found the perfect place. You’ve visited it, asked plenty of questions, and determined this is a place you could be happy in. The next step is to sign the lease and make it official. You might think since this is the last step in the process, this is a time to relax and stop paying attention. But the opposite is actually true. This is the time to pay extra close attention so as not to miss any of the finer, last-minute details that will try to slip by. Once you’ve found that perfect dream apartment, it can be tempting to go home, take a day, and think about it. After all, you want to be sure you’re making the right decision, right? Resist the temptation. Don’t wait. If you like the apartment, ask to fill out an application on the spot. The time between filling out the application and hearing back from the landlord will give you plenty of time to think about it and make a decision. In the time you take to think about it, the apartment will almost always be snatched out from under you by someone else. When you fill out an application, you’ll need access to certain documents and certain pieces of information. Since you might find yourself filling out applications right on the spot of an apartment visit, it’s a good idea to carry these documents with you. If they’re sensitive documents that you’re afraid of losing, write the information down, take a picture of it with your phone, or commit it to memory. Credit score — if you don’t have a credit score yet, you may need a cosigner, in which case you’ll need to bring their information as well. We understand, no one reads the terms and conditions. Every one of us is guilty of blindly clicking the “I Agree” box without even reading a single word of the thousands we’re agreeing to. We do this every day, and no one bats an eye. Your lease is not like this. Your lease is important. It’s a legally binding contract you are obligated to obey. You need to know what it is you’re agreeing to. Make sure the things you and your landlord talked about are reflected accurately and that strange is in slipped into the lease. Once you’ve read it, take a deep breath and sign it. Congratulations — you’re now a leaseholder! 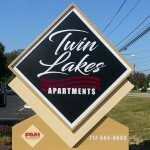 If you’re looking for your first apartment anywhere in the Central Pennsylvania area, we hope you’ll check out the many comfortable apartments available to rent from Property Management, Inc. We have apartments in Harrisburg and the surrounding area, including Lancaster, Williamsport, Gettysburg, State College, and more. We would love to answer any of your questions at 717-730-4141. 2019 PMI. All rights reserved.